Inspired by their Canadian heritage, identical twin design duo DSquared² created the fragrance He Wood with an outdoorsy vetiver scent. 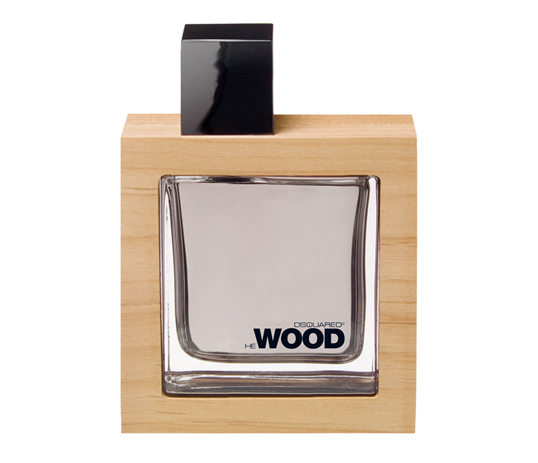 The square bottle cap and bottle shape play on DSquared²’s brand name, and the natural characteristics of the red alder wood means no too bottles are identical. personally, i’m not too crazy about this design.